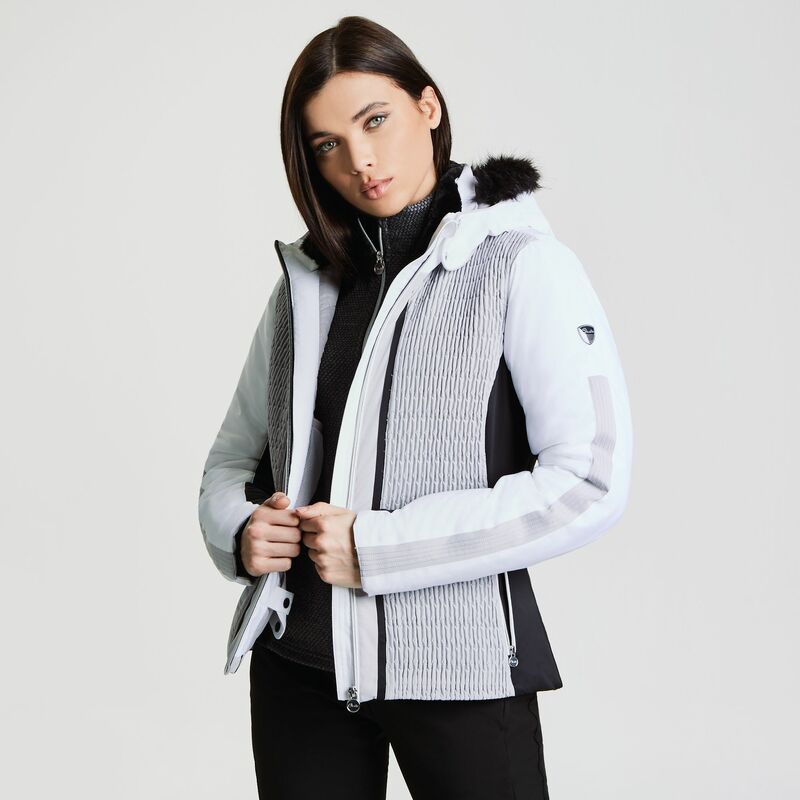 Statement luxe ski jacket with an ARED V02 10,000 fabric construction. Ready to perform in style. Made from highly waterproof/breathable satin fabric with two-way stretch for aerobic mobility. 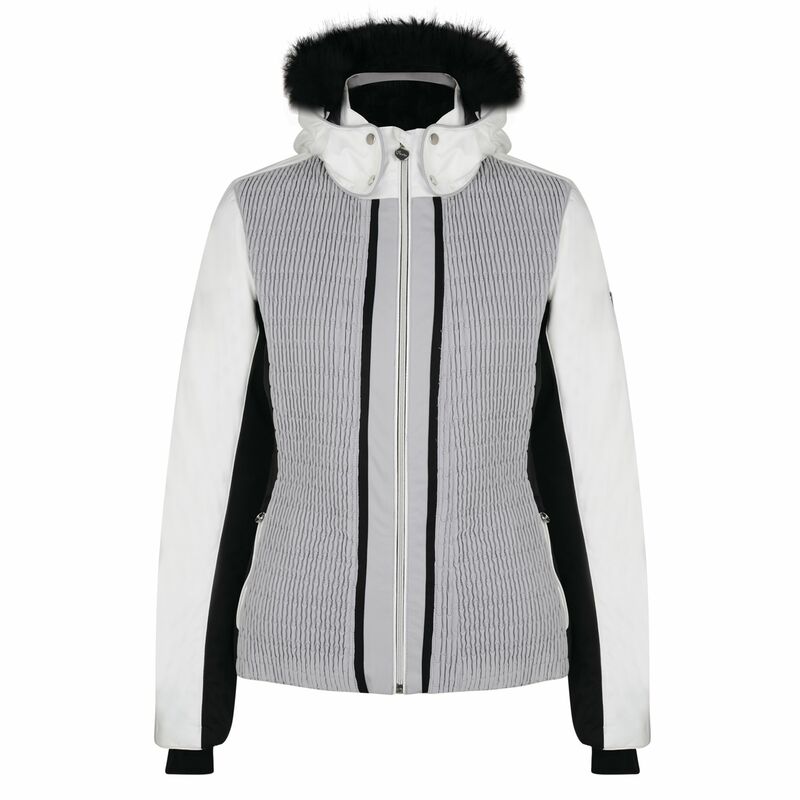 Beautifully cut silhouette with shape-defining panels. High warmth, low-bulk bulk insulation. 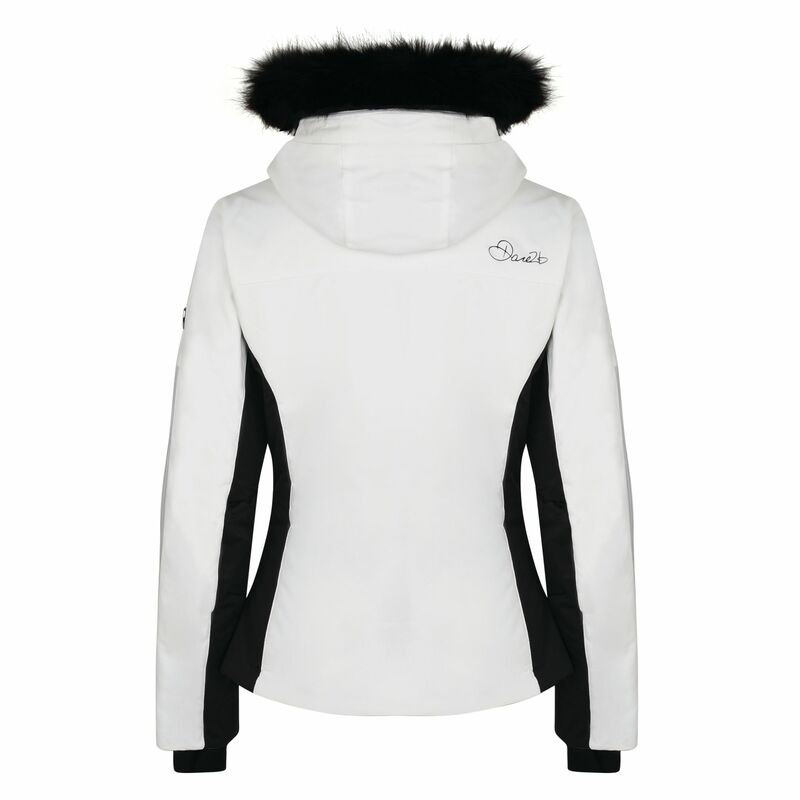 Fine quality faux-fur trimmed hood (detachable). Powder blocking snowskirt. Cosy inner stretch cuffs. Multiple pockets and a headphone port to stay on beat. Cirre print lining for bonus style points.